Heroine is based on the life and times of a superstar heroine, Mahi from the dream factory we call ‘Bollywood’. The film is a daring, shocking, glamorous, scandalous behind the scenes account of the reality behind the world of glitz and glamour that our film stars inhabit. 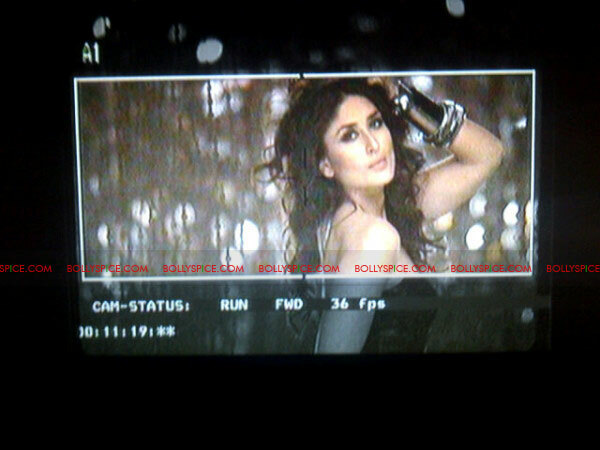 Check out what Madhur and Kareena had to say in these exclusive videos from the set! “Today I start shooting for my next project, Heroine. Am I excited, nervous or ecstatic? Actually, I am very calm because movie making is one thing that comes very naturally to me. I am happy for sure, as always, to be on the next project and work after months of brainstorming. But my day has begun with a silent prayer for the victims of 26/11. Heroine is a very contemporary subject of today’s time. It has different premises and different strata that I am going to deal with here. This movie, like all my other movies, is a mix of facts and fiction. What I could say is different about Heroine as compared to all my other movies is that it is a bigger movie. It has a larger span, more characters, more costumes… a journey that revolves around an actress’ life and showbiz. After Fashion I am again working with Music Directors Salim-Sulaiman on this project. We have already recorded two songs and they have been finalized. Can’t wait for you all to hear it, but of course there is time in that! As you all know that the fabulous Kareena Kapoor (Bebo) is playing the role of the main protagonist in this movie. Both of us had wanted to work with each other for a while now. Finally we are and I am sure we are going to have a blast during the shoot. Arjun Rampal, who has been a very dear friend, is playing the lead in this movie. Looking forward to working with Randeep Hooda and Shahana Goswami. This is the first time I will be working with all the actors and I am excited. This year I completed a decade of being a part of this industry. The journey from Chandni Bar to Dil Toh Baccha Hai Ji was so beautiful. This year began for me with the release of my successful slice of life movie Dil Toh Baccha Hai Ji and is ending with my next movie, Heroine going on floor, what more can I say. And in all this, you all have been a very essential part of my life. Thanks for all your support and blessings. I couldn’t have come so far without you all. We also have shots from the set! Stay tuned because we will be bringing you all the exclusives about Heroine! 16 queries in 0.591 seconds.